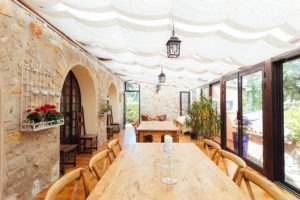 The tranquillity and picturesque surroundings of the Bastide create memorable and unique event experiences in the heart of the Var region. We offer catering for up to 25 delegates, within 2 naturally lit spaces (as well as outdoor options), and your guests will feel right at home in one of our 10 upscale rooms or suites during their stay. The surrounding areas are ideal for finding inspiration and awakening creativity. 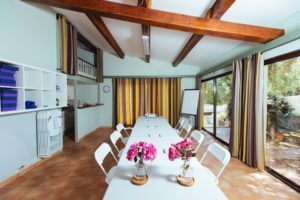 Bastide Avellanne is perfect for any type of workshop, free writing course, corporate retreat or conference. Our 2 conference rooms can be configured to suit your needs, in any layout from theatre, boardroom, banquet or cocktail style. We provide everything necessary in order to host a successful event. We look forward to working with you to personalise your conference/meeting according to your needs.